This badge was issued to Mehul Boricha on 28 Nov 2016. 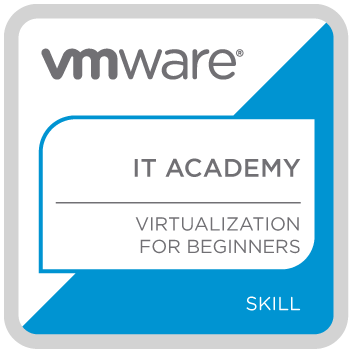 Earners of this basic-level VMware IT Academy badge know and understand the basics of virtualization technology and how an organization can virtualize servers, desktops, applications, networks, and storage to create a virtualized Data Center. Completed the Virtualization for Beginners Massive Open Online Course (MOOC) developed by VMware. Learners engaged with a blend of online content in the form of educational videos, recorded whiteboards, documents, and assessments. Learners also interacted with other learners and participated in group discussions. Passed the course final assessment with a minimum score of 70%. Total Course Time: 16-hours over a three-week period.